Preoperative frailty affects the progression of cardiac rehabilitation (CR) after cardiovascular surgery. Different frailty assessment measures are available. However, it remains unclear which tool most likely predicts the progress of CR. Our aim was to evaluate preoperative frailty using different methods and to identify the predictors in the progress of postoperative CR. Eighty-nine patients underwent elective cardiovascular surgery at our institution between May 2016 and April 2018. Mortality cases and patients without evaluation of preoperative frailty were excluded. This study included the remaining 78 patients. We divided the patients into two groups: 47 patients who achieved 100 m walking within 7 days after surgery (successful CR group) and 31 patients who achieved 100 m walking later than 8 days after surgery (delayed CR group). 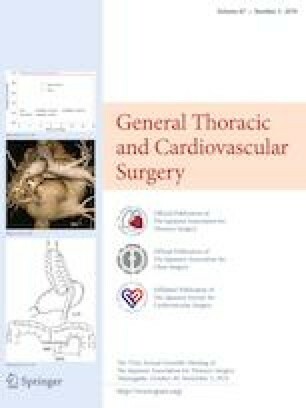 Preoperative frailty was assessed using the Kaigo-Yobo Check-List, Cardiovascular Health Study, Short Physical Performance Battery, and Clinical Frailty Scale. The prevalence of frailty defined by these four measures was higher in the delayed CR group. The delayed CR group had lower nutritional status, serum hemoglobin level, serum albumin level, and psoas muscle index. Multivariable analysis demonstrated the Kaigo-Yobo Check-List score as an independent predictor for delayed CR (odds ratio 1.53, 95% confidence interval 1.18–1.98, p = 0.001) and Clinical Frailty Scale as an independent predictor for discharge to a health care facility (odds ratio 3.70, 95% confidence interval 1.30–10.51, p = 0.014). Among the various tools for assessing frailty, the Kaigo-Yobo Check-List was most likely to predict the progress of postoperative CR after elective cardiovascular surgery.